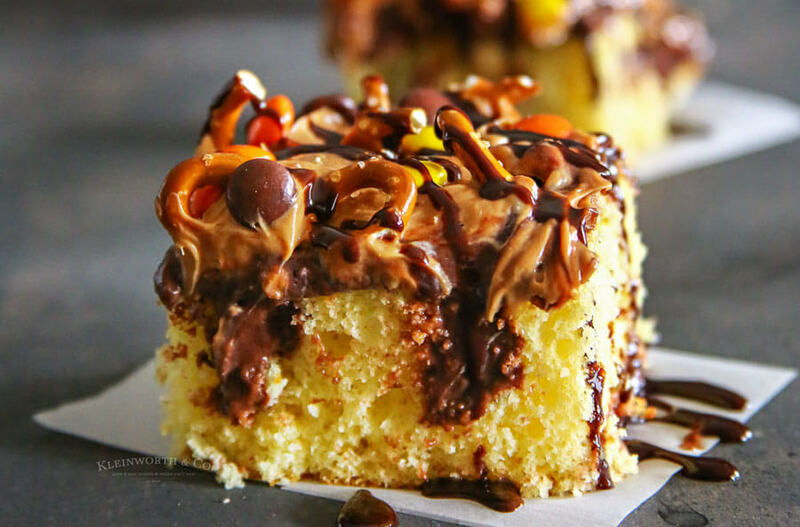 Delicious yellow cake soaked with chocolate pudding & topped with peanut butter frosting, Reese’s Pieces, pretzels & chocolate syrup. So good! 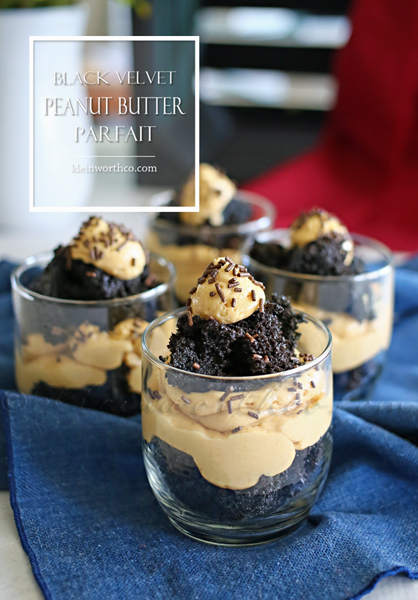 Alright peanut butter lovers, it’s time for peanut butter bash again! Oh boy do I have a treat for you. 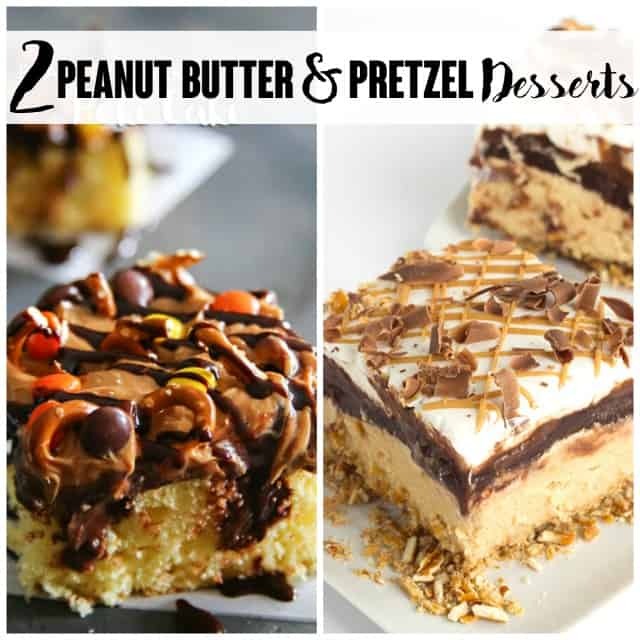 This month we are pairing peanut butter & pretzels – which is already delicious. Oh that salt & crunch added to peanut butter is amazing. 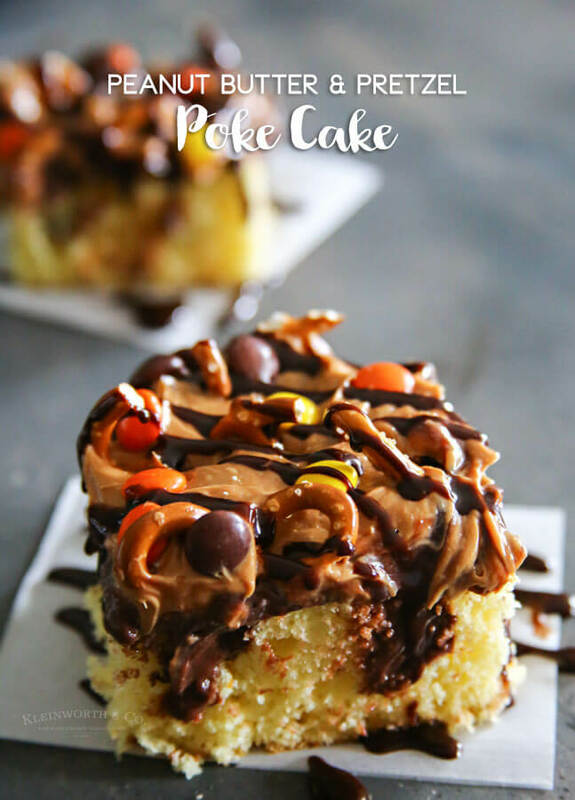 But I decided to add those awesome flavors to a rich & decadent poke cake. 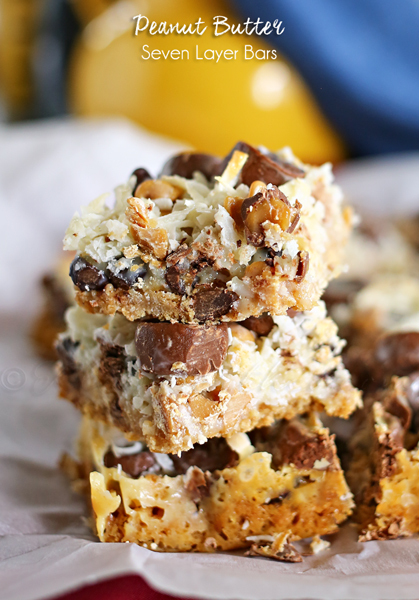 Yep, it’s 100% over the top & the perfect dessert to hit all the cravings at the same time. 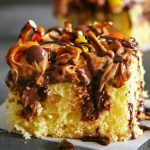 I had a whole bunch of ideas go through my mind for this pairing, but when it came right down to it, I just wanted to stick to ingredients I already had in my pantry. 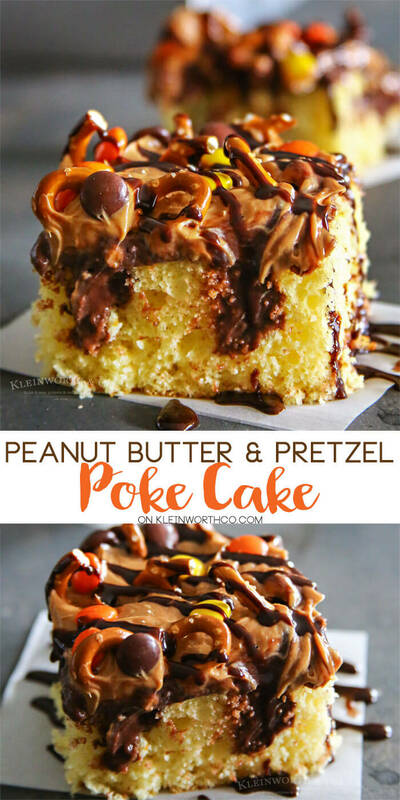 This really paired well together & wow it was so incredibly easy to make too. However, with all the raving from the family, it didn’t matter that it was easy. They didn’t know they difference, all they knew was that it was INCREDIBLE & they wanted more! 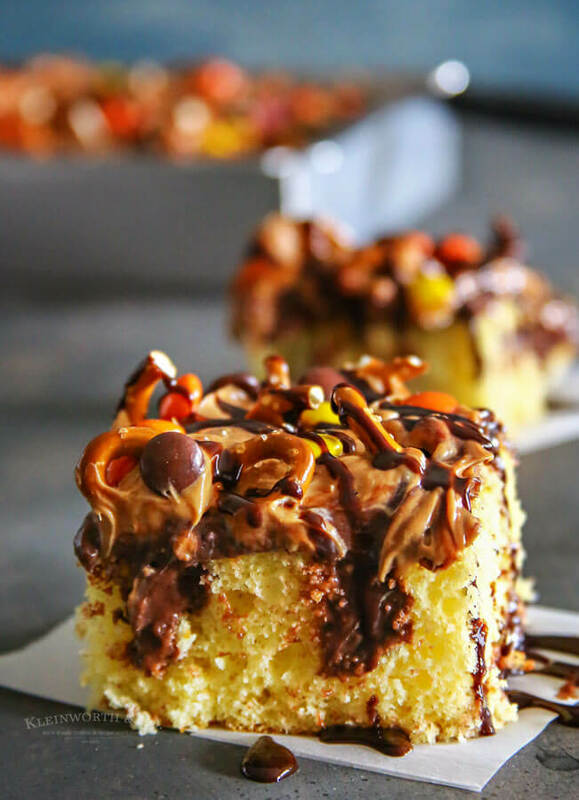 Delicious yellow cake soaked with chocolate pudding & topped with peanut butter frosting, Reese's Pieces, pretzels & chocolate syrup. So good! Spread frosting on top of pudding layer. 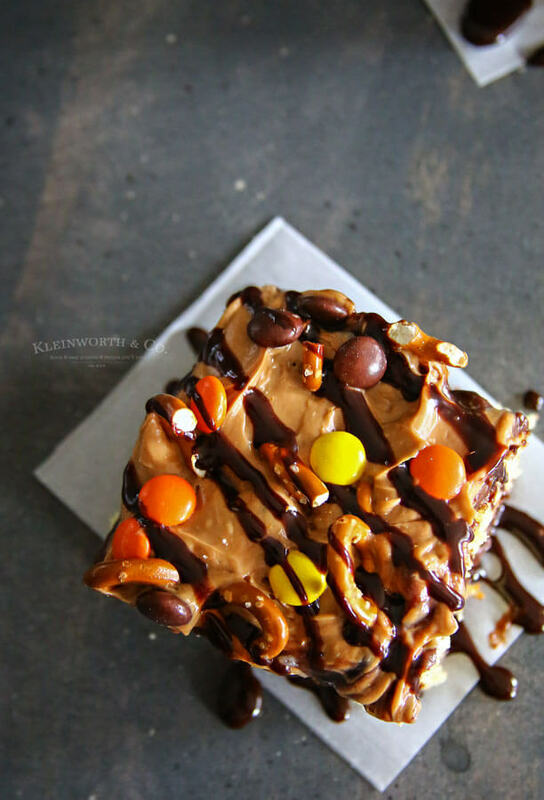 Then sprinkle Reese's Pieces & pretzels all over the top of the cake. Doesn’t that just make you want to dive on in there? 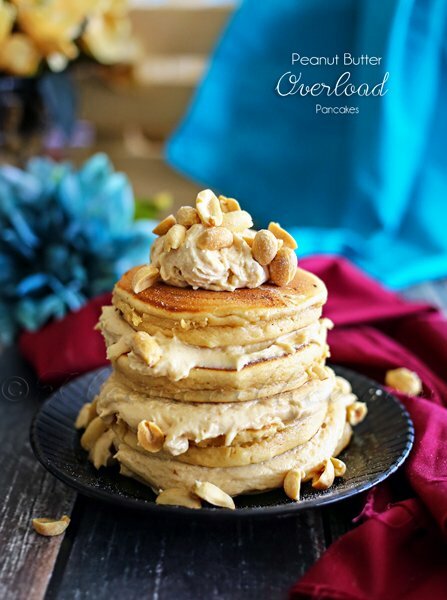 Looking for more great peanut butter recipes?